Tia Mercury was a freshman in high school and had her first serious crush – on a senior who wouldn’t touch her. At least not until she turned eighteen. Clinton Daniels was not your everyday teenage boy, and because his tougher-than-nails father wouldn’t let him forget it, Clinton became a loner. And learned to distrust everyone. She was sweet, she was funny, and she knew nothing about good music. It was the nineteen-eighties for goodness sake – time to turn off that AM radio crap. So, while Tia drooled over Clinton, he was busy making her mix-tapes. She was falling in love. He was ignoring his heart. See, Clinton had a secret. But sharing it could cost him their friendship, and he was not willing to risk losing the only person he ever loved. Naked and Far From Home is a serious story that spans a decade. A tale about unconditional love and what two people are willing to look past to prove that love. Part of me cringed, but the other part couldn’t care less. I was reuniting with my best friend. The love of my life. Like the love of my father’s life, Clinton may not reciprocate the feelings, but I wasn’t living the rest of my life, whatever was left of it, without him. I’d take him in any capacity he wanted me. Because I knew he loved me with all his heart, even if it wasn’t romantically. I heard the footsteps galloping down the stairs before the door flung open and Clinton gathered me up in his arms, lifting me so my legs wrapped around his waist, and he hugged me tighter than I’d ever been hugged. At least, in his large arms, it felt that way. Not sure how long we stayed like that, but when Clinton lowered me to the ground, my father was gone. As was my car. My veins fired when Clinton took my hand and led me upstairs. It was quiet on his floor. Everyone must have been downstairs. I didn’t want to ruin this moment with the truth. I couldn’t. I wouldn’t. 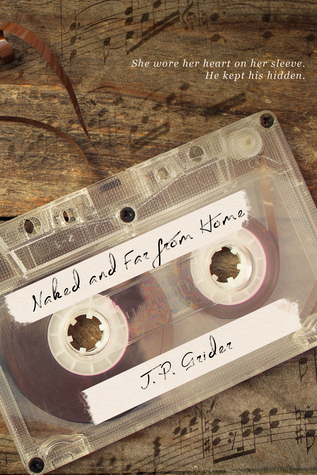 J.P. Grider is a New Adult and Young Adult author. She is the author of eight novels. Her young adult series The Honor Trilogy consists of A Touch of Honor, A Man of Honor, and A Heart of Honor, while her first two novels - Unplugged (A Portrait of a Rock Star) and Maybe This Life - are standalone adult contemporary novels. 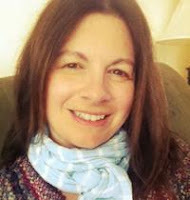 Her most recent release is the new adult romance Reaching Rose, which is the third in her Hunter Hill University series. All the books in the Hunter Hill University series are standalone books and can be read in any order. Currently, J.P. is working on two standalone novels that are not related to the Hunter Hill University series. They will be released in February, 2016.